Wow. A month of committed writing. In that time the trees have started to turn green, my allergies have kicked in full force, and I feel like I made significant progress in this thing called writing life. I think I’m supposed to say something really significant on this last day of March, but for me, it is not the last day of my Writer’s March… it is the beginning, at least the beginning of a new chapter (I think it’s called April). 1. Five hours a day, every day is too much! Perhaps this will change if I have more “business” of writing to take care of, but the actual writing, the getting inside my head, digging around in there for treasures to put down on the page… can’t do it consistently for five hours a day. 2. I’m okay with number 1. You see the old Jennifer would have allowed one day’s failure to slow her down. She would have gone back in to her head thinking, mostly beating herself up, and not writing. And even though the five-hour-a-day-goal includes actual writing, staring at the computer screen, journaling, staring out the office window, and reading as long as it’s in service of the writing, the new Jennifer can say What the heck was I thinking? She can re-assess and re-envision the goal and make it not only attainable, but sustainable. I said, “I”m ‘Thursdays with Jenn! '” I couldn’t wait to tell Sam that Teresa was finding success in this group process and couldn’t wait to get home to write another poem. 5. It takes a village… to do just about anything. Really, we can’t and shouldn’t expect to do things on our own. 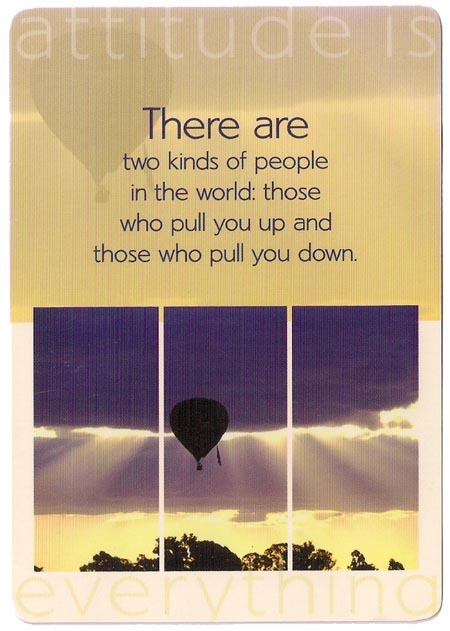 It is in allowing other people in to support us that we can accomplish great things. My sister. She loves to tell people I’m a writer. Admittedly sometimes that feels good, and sometimes that feels intimidating, but it’s nice to know she believes in me. Makes it just a bit easier to believe in myself. Sam Tetangco… what can I say. It’s not just this blog, it’s the friendship and the times spent writing together. I’m inspired by your dedication, and your positive attitude, and your wisdom. Randi Beck… again… more than the blog, the daily compost, I’m inspired by your talent and your enthusiasm! Cynthia Patton. We met in 2005 at the Taos Summer Writers’ Conference. We’ve kept in touch, supporting each other through our memoir writing, and a lot of messy “life” stuff. You joined the Writers March and although you did not comment on my posts, I could count on you to read them and respond privately, offering support and suggestions… YOU my friend are a much better writer than you think you are. Merimee Moffitt, my co-host for DimeStories and my entree into the world of poetry (it’s a scary place!). Anyway, I am grateful to you for your support, and if I’m stuck here in Albuquerque I am glad you are here to be my friend. Sorry, I’m gonna lump the rest of you together: My San Diego writing pals: Judy Reeves, Amy Wallen, Jill Badonsky and last but not least Karin Zirk. I’m still not where I am, but I wouldn’t have gotten here without you. My MFA program colleagues: Cassie Lopez, Tanaya Winder, Elizabeth Tannen, Suzanne Richardson, Nari Kirk, Melanie Unruh… Here I am… I couldn’t have survived it without you. (and the rest of my colleagues in the program who’ve read and critiqued my work, making me a much better writer and reader). So how did the Writers’ March work for YOU? and who are you grateful for? I am truly grateful to Merrimee for making me aware of the Writer’s March. I made the commitment and completed it except for 3/31/11 that I will do later. I am now wired to write again on a regular schedule. So my commitment for April is to write a quatrain each day. It is National Poetry Month and after going to many events, I will need to sleep so that I can get up each morning to go to work. I am blessed. Thank you Writer’s March for the challenge.